This trip is targeted to today’s leading influencers in food, health and wellness. This group represents a cross section of registered dietitian-nutritionists, chefs, health professionals and friends who specialize in journalism, education, media relations and community activism. Through many different streams of communication, their authoritative voices are sought after in every community. Recent price reduction due to an anonymous donation. Airfare not included. 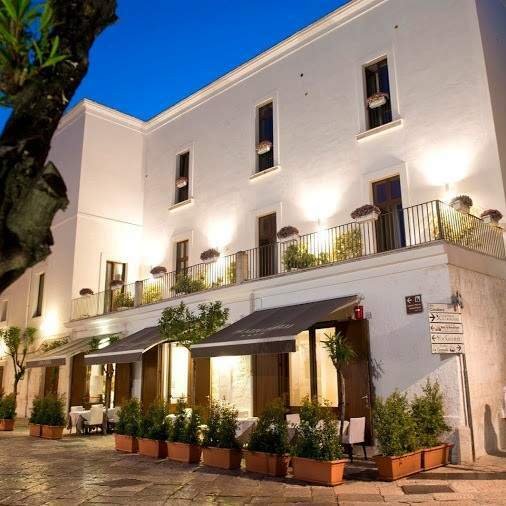 Palazzo Indelli is a newly restored 16th century palazzo in the heart of Monopoli’s old town. Facing onto the enchanting Piazza Garibaldi, this central location allows for easy exploration on foot of this untouched historical quarter. 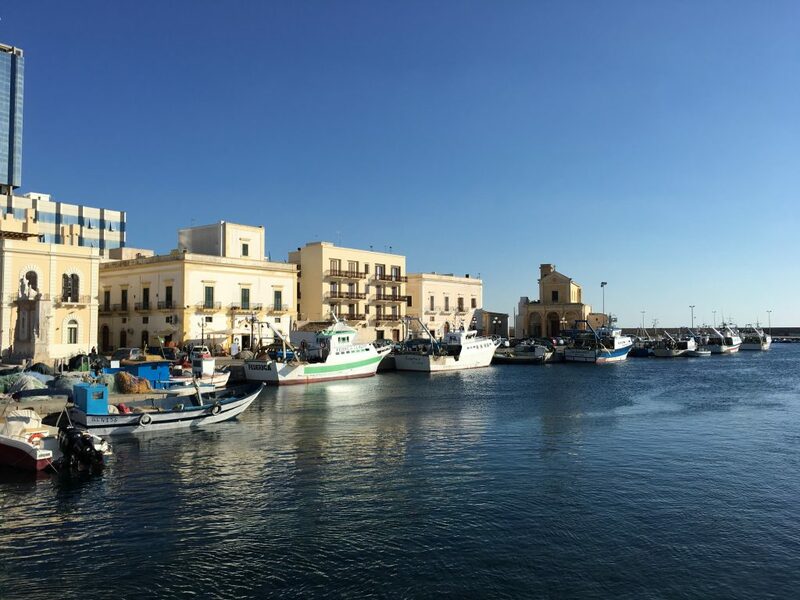 On just the other side of the piazza is the town’s picturesque harbor with its colorful fishing boats and refreshing sea breeze. Palazzo Indelli has just 22 rooms and offers friendly and professional service to all their guests. The lovely stone floors and elegant high ceilings recall the elegance of a by-gone age. We are sure you will love the style and the perfect position for discovering the charms of Monopoli. 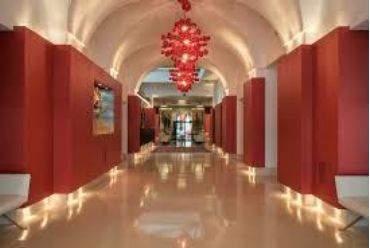 Risorgimento Resort is a stylish 5 star hotel located in a restored palazzo, just steps away from some of Lecce’s most amazing Baroque masterpieces including Piazza Saint Oronzo and the Duomo. The common areas and rooms of the hotel exude a relaxed ambience which seamlessly blends the strong local traditions with a surprising modernity and elegance of style. Soak up the atmosphere of “The Florence of the South” and enjoy the convenience of visiting Lecce’s many treasures on foot. At the end of a long day of exploring you can treat yourself to a massage or a host of other relaxing treatments at their SPA Salus per Aquam. 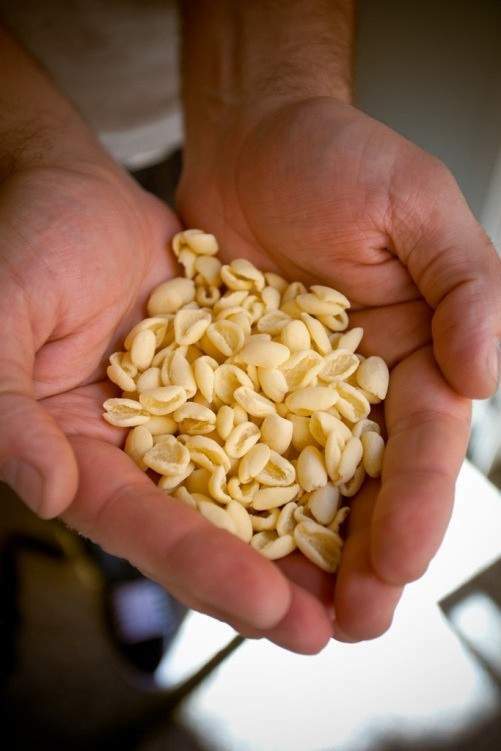 c) The different sizes and cultural practices like why you may receive 1, 3, or 5- orrechiette gigante thrown in the batch. 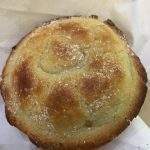 d) Whole-wheat pasta and traditional semolina flour used in making the pasta. For walking tour of Bari: Silvia Sessana, expert cultural and historical tourism guide. Certified tourism guide for the Puglia Region since 2015 and active in the tourism field since 2006. 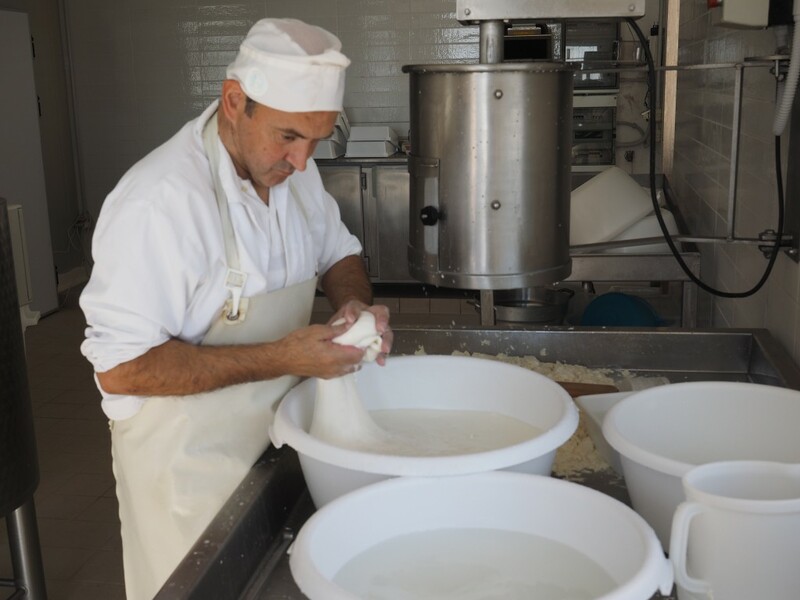 Experts: Giorgio Spalluto, 3rd generation cheese maker and dairy farmer. Armando & Rosalba, estate owners and bio-organic farmers and life-long cooks (in the the case of Rosabla) at Masseria Il Frantoio. 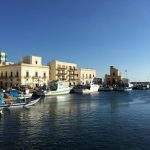 This morning at 9am, check out of your hotel in Monopoli. Your luggage will be transferred directly to your next hotel, while we go in search of Puglia’s green gold – olive oil! Visit two local olive farms to participate in the harvest of the olives and understand modern versus ancient techniques used for making olive oil. This day starts with a visit to the olive oil estate, Masseria Salamina, where the passionate owner will describe the harvesting techniques and take us inside a modern mill to see the modern day pressing process. Afterwards the group proceeds to Brancati, a second farm with a fascinating underground mill that has been in use for olive oil production since the Bronze Age. 2 hours: To understand the history of olive oil and why Puglia was and still is the most important region in Italy for olive oil production. To participate in harvesting olives and view the operation of a modern-day mill. 2 hour: To see some of the world’s oldest olive trees and understand how they are being protected. To learn about different varieties of olives in the region. To understand how different varieties of olive oil are pressed and stored. To partake in an olive oil tasting, then a lunch and learn. e) Learn about different types of olives and oils; when olives are harvested and how the region monitors and cares for the most ancient olive trees in the world. 2 hours: To participate in a tour of an organic masseria and understand how crops are planted, rotated and harvested. Learn about the importance of biodiversity on this well-managed farm. 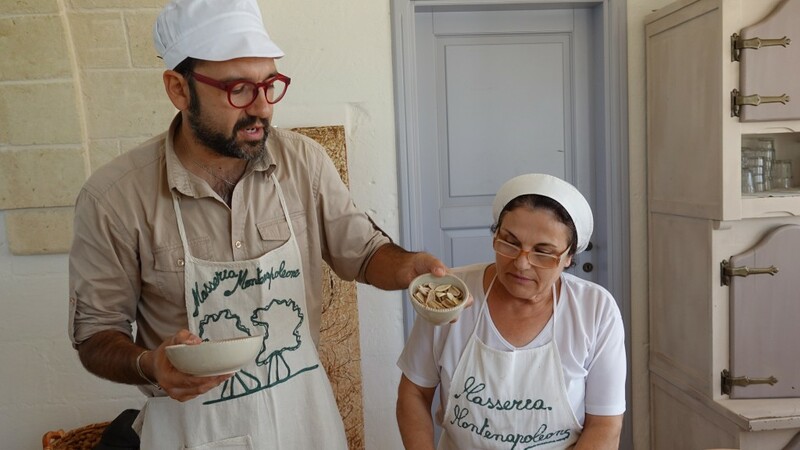 Experts: Masseria owner and dedicated organic farmer, Giuliano Monteneve. Teresina, life-long cook. 2 hours: Attendees will learn about the old traditions of DOP bread making and will bake their own bread in a DOP bread-producing bakery. 2 hours: Presentation and meeting with leading researchers and experts in the field of agronomy, food science and nutrition. f) Meet leading researchers and experts in the field of agronomy and nutrition in the ancient city of Lecce to learn about health benefits of olive oil, ancient grains and the future of food that will keep Italians at the top of list for the world’s healthiest countries. 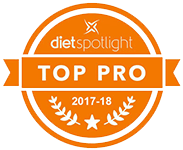 Layne Lieberman, MS, RDN, CDN, is an award winning registered dietitian/culinary nutritionist, author, blogger and innovator in the food and health industries. With a lifelong passion for wholesome food and better health and wellbeing, Layne helps consumers achieve a healthy balance in diet and lifestyle. 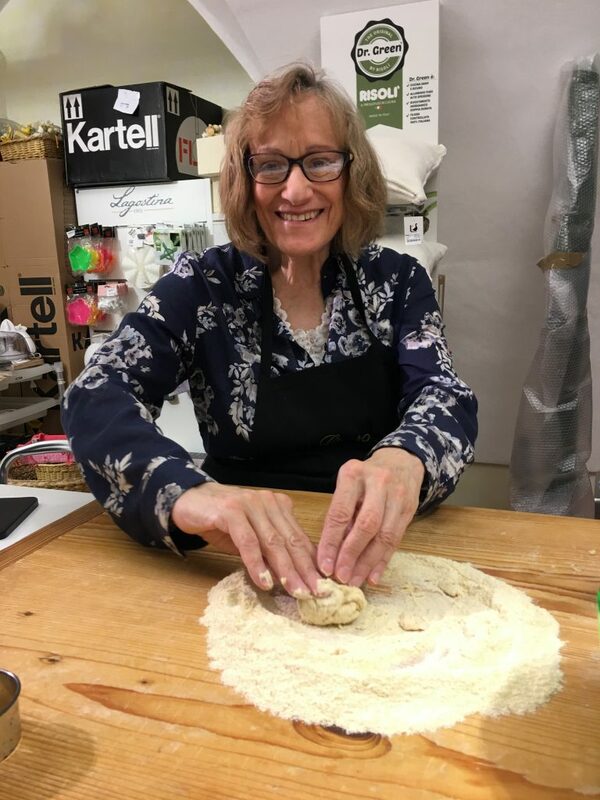 In the mid-1980s, Layne created the Nutrition Learning Centers, a storefront center for weight loss and medical nutrition that combined cooking classes, a health food store and nutritional counseling. Following that successful venture, she served for 20 years, from 1991 to 2010, as Director of Nutrition for America’s first supermarket chain, King Kullen Grocery Company. She proceeded to turn the chain into a national leader, selling organic foods and other healthy alternatives to conventional supermarket fare. In addition, Layne headed the chain’s consumer and industry health communications, initiating a roster of health bulletins and circulars that reached one million homes weekly. Her nutrition newsletter won over 30,000 subscribers in the metropolitan New York region, and also she was editor of King Kullen’s quarterly Diabetes Newsletter. 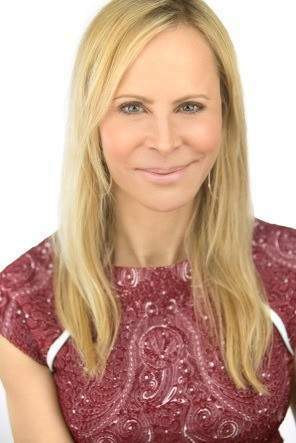 Philanthropically, she has devoted over 25 years to the American Heart Association as a board member, event chairperson, menu consultant, spokesperson, and a driving force behind the AHA’s annual Hamptons Gala. In June of 2012, the American Heart Association with their “Humanitarian with a Heart Award” honored Layne. She was an advisory board member and lecturer for Dr. Mehmet Oz’s Foundation For The Advancement Of Cardiac Therapies. She is a member of The Academy of Nutrition and Dietetics, the largest organization of food and nutrition professionals with close to 72,000 members. 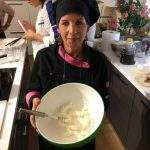 She is also a member of Les Dames d’Escoffier Colorado. From 2010 to 2012, Layne lived abroad in Geneva, Switzerland, to study the food, health and dietary habits of other countries. There she wrote and published her first book titled Beyond the Mediterranean Diet: European Secrets Of the Super-Healthy, which is successfully being sold worldwide through all major wholesalers and retailers. The book was named one of the “Best Indie Books of 2015” by the Independent Book Publishing Professionals Group, as a book that “deserves to reach a wide audience.” The Next Generation Indie Book Awards is the world’s largest not-for-profit book awards program for independent publishers and self-published authors. Layne has extensive media experience in both print and television. She has been featured on Good Morning America, The New York Times, Fox News and has been quoted in hundreds of articles. She blogs regularly for the Huffington Post UK and USA, Boulder Bubble and WorldRD and guest blogs on other sites including the Academy of Nutrition and Dietetics’ Food & Nutrition Magazine, Diets In Review, Access Hollywood, Shape and Fox News. Layne received a Bachelor of Science in Nutritional Biochemistry from Cornell University and earned a Master of Science in Clinical Nutrition from New York University. During her Masters studies, Layne worked in Public Relations for Ketchum Health Communications. After completing her Masters degree, Layne spent two years at the Albert Einstein College of Medicine doing a research fellowship as the General Clinical Research Nutritionist in the areas of diabetes, heart disease, and other chronic illnesses. Later, at the Culinary Institute of America, Layne completed the Chef-RD training program. She and her husband now divide time between Colorado, New York and Florida. • Italian coffee (caffé) is a form of art with a specific coffee drink for every time of the day. Caffé corretto is thrown back like a shot. Cappuccino and brioche are for breakfast. You’ll never find a Starbucks here. 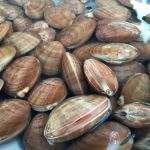 • Almond milk is local and the Mediterranean diet is alive and well. • California Zinfandel (red wine) is thought to be a replica of Puglia’s Primitivo, both derived from an ancient Croatian grape variety. • According to Beyond The Mediterranean Diet: European Secrets Of The Super-Healthy, southern Italian food was considered a peasant diet, which rates high on modern nutrition standards because of the abundance of grains, vegetables, fruits, dairy and legumes. • Whole-wheat pasta is on the menu. To cook fresh pasta boil for 3 to 5 minutes. • People of all ages walk and bike and the older folks still meet in the square to chat and watch the flow of visitors. • In the town of Altamura, McDonald’s had to close down because the locals used it as a respite for air conditioning but wouldn’t dare to eat the offerings. • The 14th century whitewashed Trulli homes of Alberobello (town in Puglia) are known for their cone-shaped roofs, where cheese was stored and children slept. Animals lived inside with the family, while bathrooms were outside. Smelly homes (and children) were a sign of wealth. • Women are the bosses. When mamma says lunch is ready, everyone shows up at the table, even from miles away. 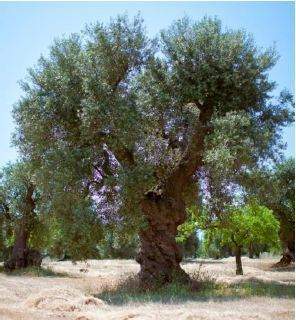 • Ancient olive trees know the secrets to longevity for they have been producing olives for thousands of years. • It only costs about 2 euros or 10 cents to buy 20 to 25 figs in Alberobello. • Apulia means land without water. The region is known for its sunny dry climate. • Locals love to eat greens. 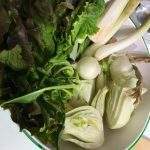 My favorite dish is Fava beans with Wild Chicory. • Burrata, a fresh cow cheese made from mozzarella and cream originated here. Learn how to make mozzarella at a local dairy farm. • Besides feeding dairy cows grass and grain, the diet is supplemented with orzo (barley) and fava beans. 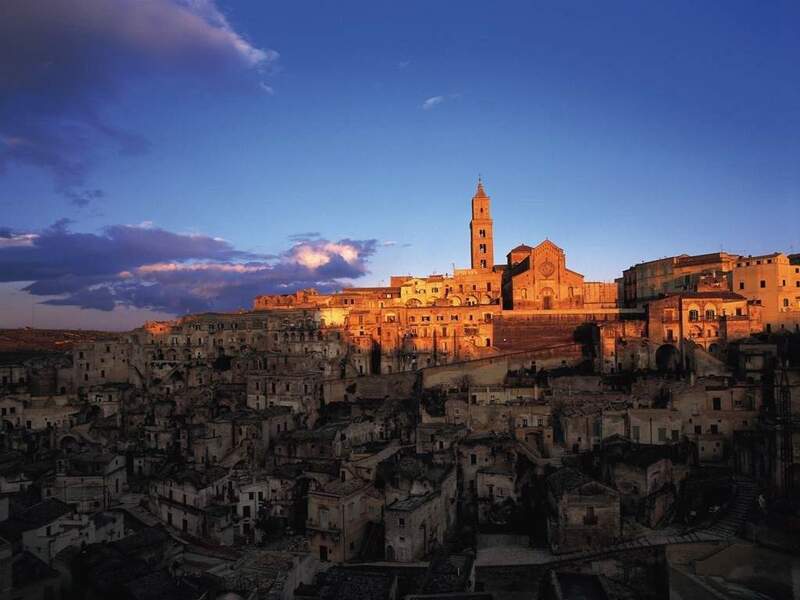 • Old cities with ancient architecture include: Lecce (known as the “Florence of the South”), Ostuni, Otranto, Locorotondo, Gallipoli and Matera. • Bike from old city to old city through the back roads of the farms (with a guide). 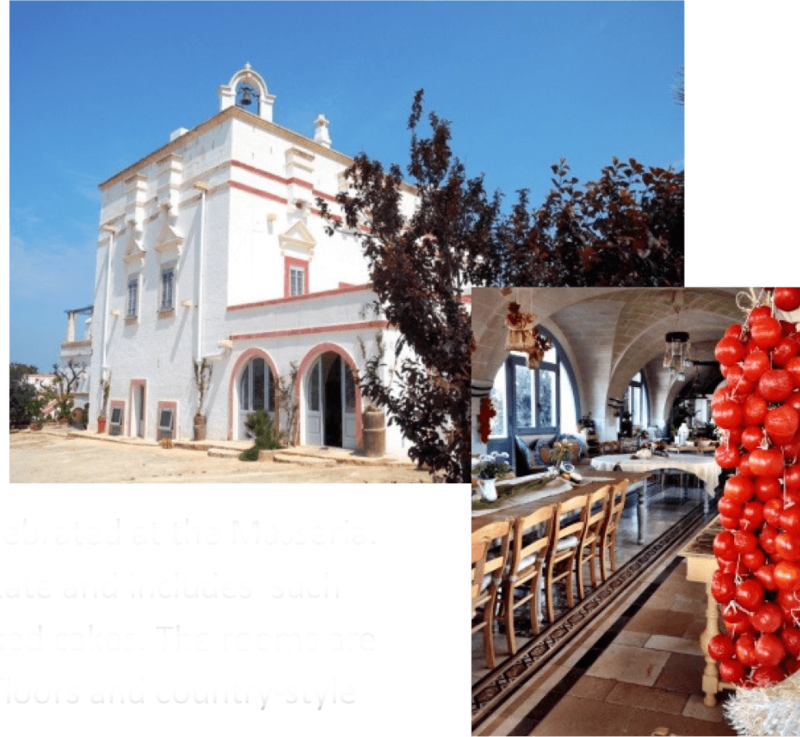 • Eat or stay at these 2 masserias: Masseria Montenapoleone and Il Frantoio. • Dip taralli, a dry crunchy biscuit that is tied in a knot and is either sweet or savory, into wine. 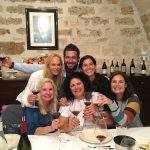 • A reliable travel company that specializes in authentic food and biking tours is Southern Visions– the team is awesome! • There are multi-generational family farms (masserias) producing olives, grapes, almonds, cherries, apricots, plums, peaches, hand harvested wheat, fava beans, chicory, tomatoes, fennel, onions, figs, lemons, limes, dates, herbs, pomegranates and so on. • Farm animals such as cattle, pigs, lamb, chickens, donkeys and horse are part of life outside the old city walls. Historically, the region is known for shepherding. The trip was more than what I expected. From the group of women that attended to the drives, the tours, the meals, it truly met my expectations and more. I am looking forward to the next trip. Fabulous educational opportunity and also great fun. Met new friends and would do this again. I had a wonderful time and overall my experience was exceptional and I have been telling people all about. My friends enjoyed following the Facebook posts. I really enjoyed all the unique personalities and making new friendships. Fabulous educational opportunity and also great fun. Met new friends and would do this again. I had a wonderful time and overall my experience was exceptional and I have been telling people all about. My friends enjoyed following the Facebook posts. I really enjoyed all the unique personalities and making new friendships. Layne!!!!! It was so great meeting you and spending the week together. This was a very special trip. Thank you for making it so. I had so much fun with the group but mostly you. I hope you plan more trips in the future -- I LOVED it! Layne is so knowledgable and warm. It was clear how much passion and thoughtfulness she put into this trip and it really showed by how wonderful and smoothly everything went. Both the professionalism and warmth made it less intimidating to sign up for the trip by myself. I loved that each day was a different activity. My favorites were pasta-making, olive oil tasting, wine tasting, mozzarella-making and everything we did at the masseria. This trip was amazing! 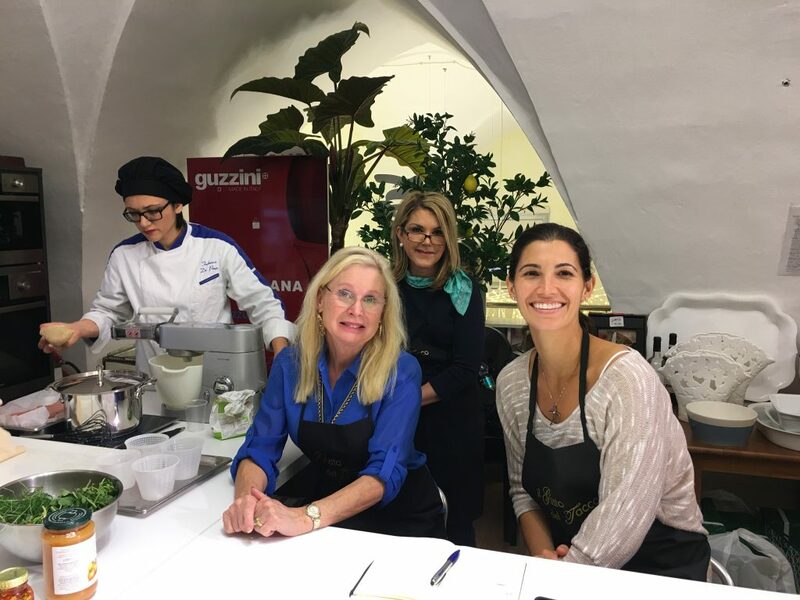 I loved traveling through Puglia with other dietitians and learning all about food, nutrition and culture. Everyday was a wonderful culinary adventure. 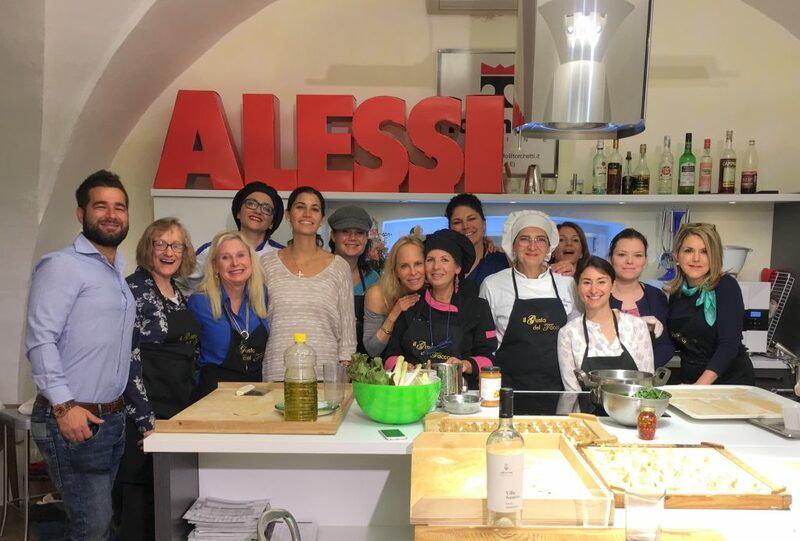 Passion for Puglia was an amazing trip which provides a once in a lifetime experience for Registered Dietitian Nutritionists or for anyone who has a passion for food in the beautiful country of Italy. 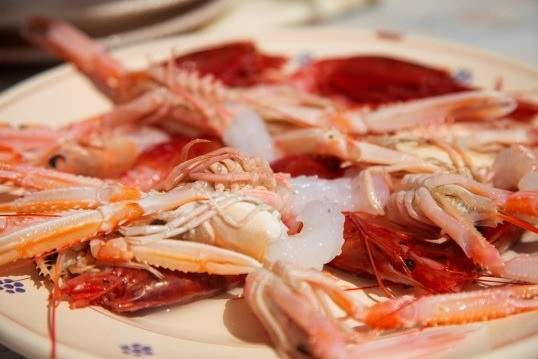 The region of Puglia provides a rich, cultural look into the Mediterranean diet. Each day allowed hands on education with the locals who were warm and friendly extending their knowledge to us. We touched, tasted and ate beautiful food, made from locally grown ingredients. We forged new friendships amongst our group learning from each other and how to take the Pugliese experience home with us. 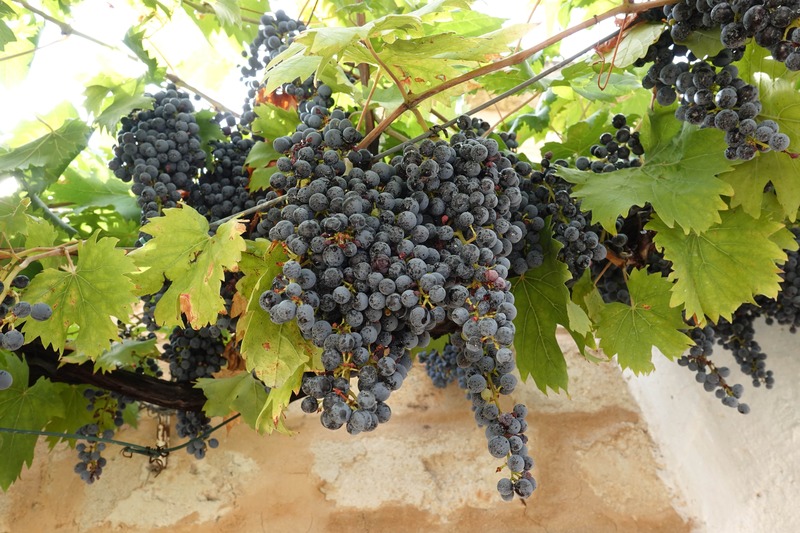 Passion for Puglia was really a fabulous experience and would recommend it thoroughly. informative and FUN! It was no surprise the food was amazing. Puglia is the best kept secret in Southern Italy. I cannot recommend this trip enough. If you have the opportunity to go on this trip GO! I promise you will not be disappointed. I just wanted to take a moment to recognize Layne for all her hard work on this trip. Layne made herself readily available to us at all times. Her down-to-earth personality and worldly knowledge base was fantastic. Although each and everyone of us was so very different; she was able to connect with us all on many different levels. Layne is sweet, genuine, intelligent and kind. She was a true asset to my experience. She was an absolute perfect fit for our group! 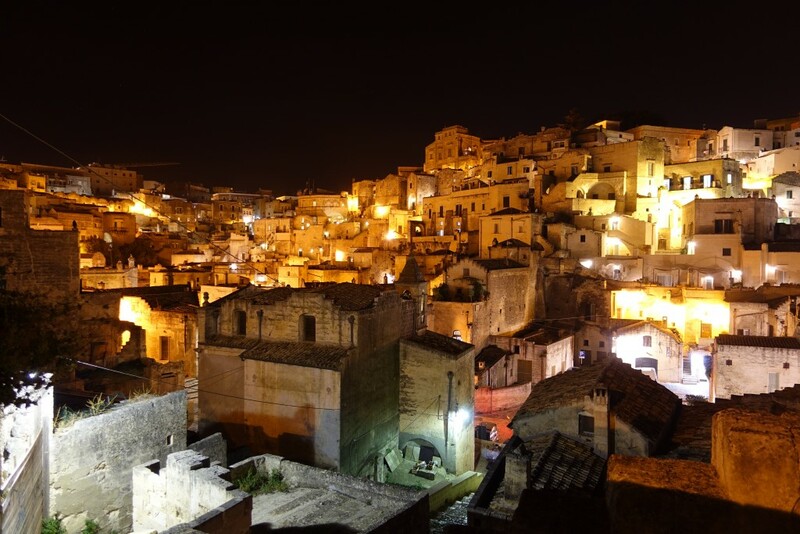 The Passion for Puglia trip presented by SVT and WorldRD exceeded my expectations. To say that I enjoyed myself would be an understatement. I loved every aspect of trip! The trip was well organized, informative and FUN! It was no surprise the food was amazing. Puglia is the best kept secret in Southern Italy. I cannot recommend this trip enough. If you have the opportunity to go on this trip GO! I promise you will not be disappointed. I just wanted to take a moment to recognize Layne for all her hard work on this trip. Layne made herself readily available to us at all times. Her down-to-earth personality and worldly knowledge base was fantastic. Although each and everyone of us was so very different; she was able to connect with us all on many different levels. Layne is sweet, genuine, intelligent and kind. She was a true asset to my experience. She was an absolute perfect fit for our group! This experience was awesome – the beauty of the scenery, the warmth of the people, the tastefulness and healthfulness of the food. Also experiencing the slow food movement and Mediterranean diet in a setting in which it is a part of everyday life. It was hands down the best continuing education activity of my career. I’m looking forward to a similar experience in Sicily. 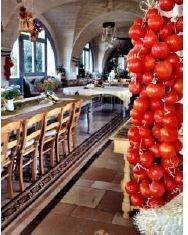 This is a great trip to study the Mediterranean diet and immerse yourself in the lifestyle of southern Italy. 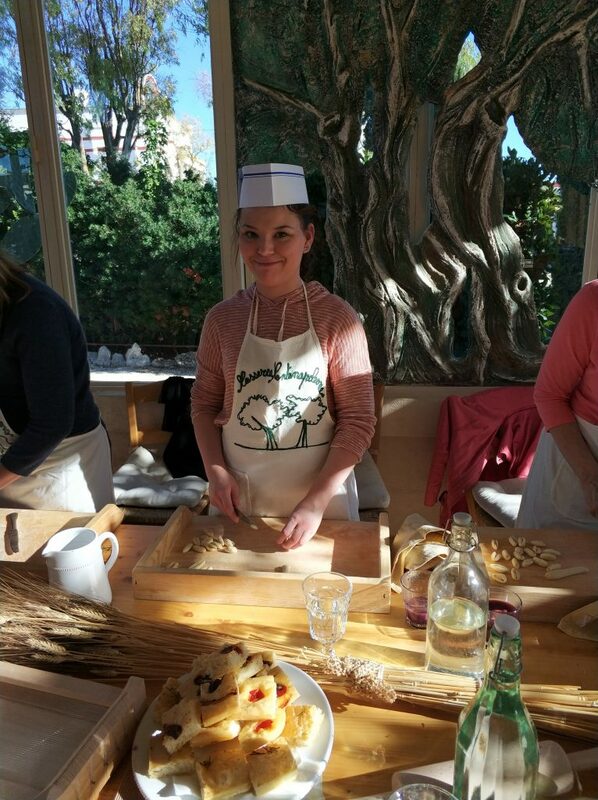 From the olive farms to the dairy farms, learning how to make pasta and foccohia bread and cheese it was a great learning experience. I also loved the history lesson that went with every place we went. That helped to really understand the culture better. Puglia was one of the highlights of my professional career! Puglia was one of the highlights of my professional career and so much fun!! I am still raving about it and made some wonderful friends. And still trying out recipes. 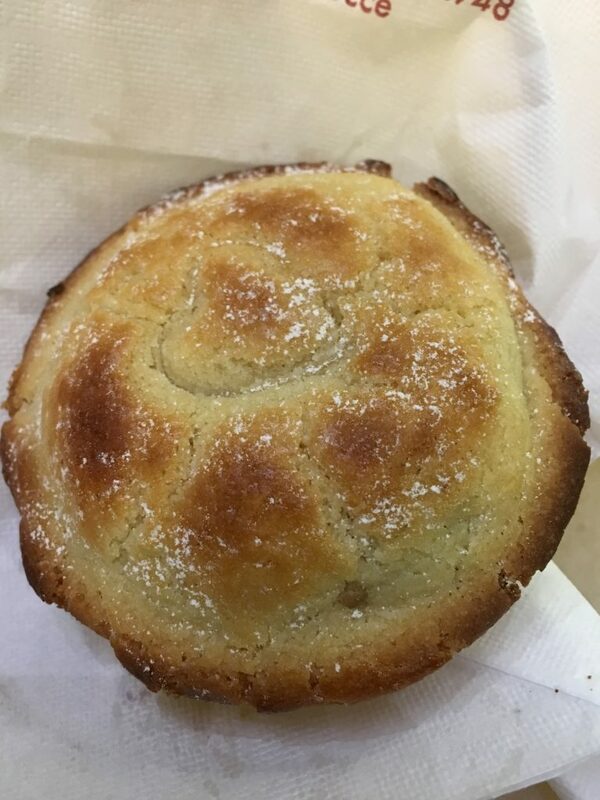 Passion for Puglia changed my way of looking at food! After spending a week learning about farm fresh vegetables, fresh pressed olive oil, homemade mozzarella cheese, fresh breads and focaccia and viewing local fishes, supermarkets at home are completely mundane! Not only was the trip a lot of fun, but full of rich culture! 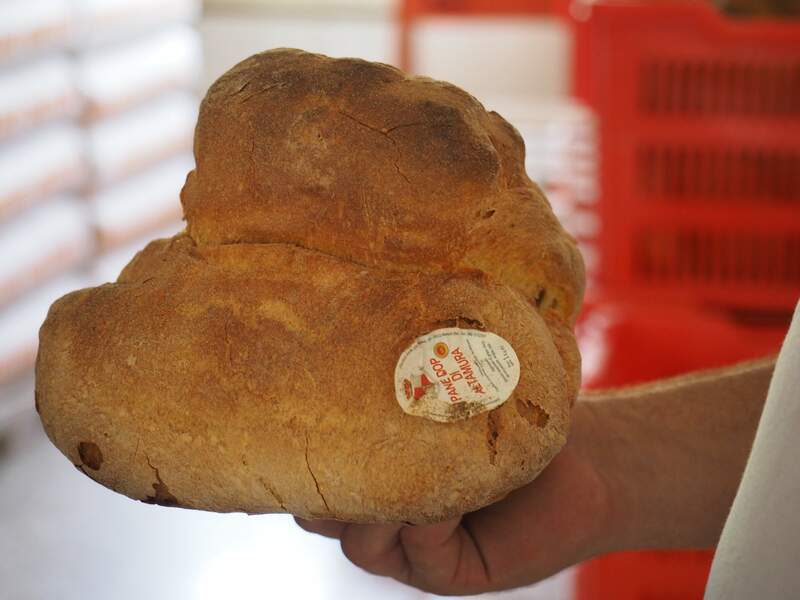 As a group we toured different regions of Puglia, each with a unique flare of food and tradition. Friendships were made as we learned the ways of the local people and dined at their Masseria and vineyards. Passion For Puglia combined travel and a wealth of information into a packed, fulfilling week! Thanks for such a wonderful adventure! 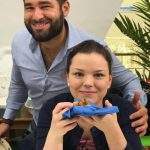 Passion for Puglia changed my way of looking at food! After spending a week learning about farm fresh vegetables, fresh pressed olive oil, homemade mozzarella cheese, fresh breads and focaccia and viewing local fishes, supermarkets at home are completely mundane! Not only was the trip a lot of fun, but full of rich culture! 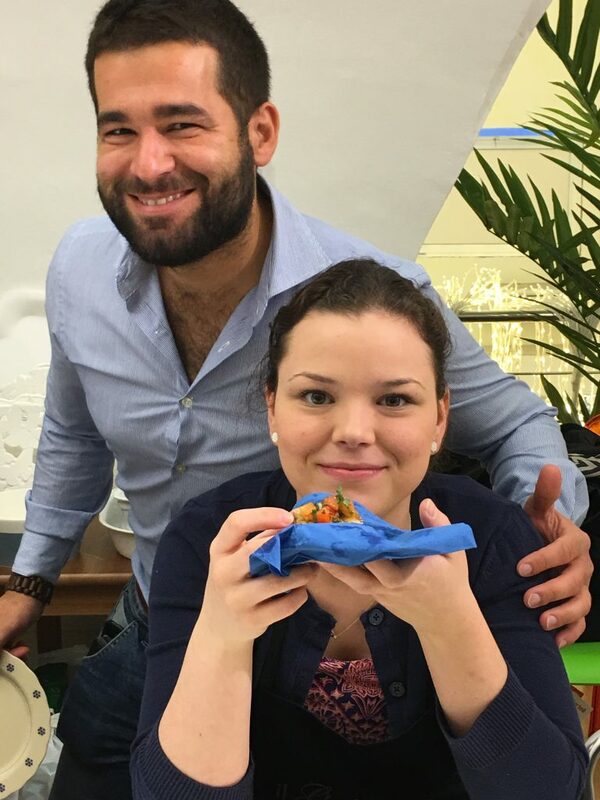 As a group we toured different regions of Puglia, each with a unique flare of food and tradition. Friendships were made as we learned the ways of the local people and dined at their Masseria and vineyards. Passion For Puglia combined travel and a wealth of information into a packed, fulfilling week! Thanks for such a wonderful adventure! 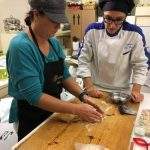 How do you pack pasta making, bread making, cheese making, historic towns and local olive oils and wines into six days? Take a trip with Passion for Puglia. This highly orchestrated tour packed in as much as we could see in six days using a continuous Italian guide, knowledgeable in history and all things Italian, along with local guides to enrich the experience. No other tour offers more at this excellent price. Conscious effort was made to mix our hotels stays with small authentic cities, Masseria farms for the country view and the bigger historic old city of Lecce. All hotels were four to five stars with excellent locations to experience the vast region of Puglia. Meal planning was provided at top-notch restaurants and portions were plentiful and healthy. My favorite part was learning how the locals prepare and appreciate their local organic seasonal food and ancient grains. 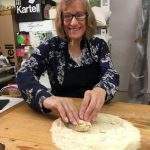 How do you pack pasta making, bread making, cheese making, historic towns and local olive oils and wines into six days? Take a trip with Passion for Puglia. This highly orchestrated tour packed in as much as we could see in six days using a continuous Italian guide, knowledgeable in history and all things Italian, along with local guides to enrich the experience. No other tour offers more at this excellent price. Conscious effort was made to mix our hotels stays with small authentic cities, Masseria farms for the country view and the bigger historic old city of Lecce. All hotels were four to five stars with excellent locations to experience the vast region of Puglia. Meal planning was provided at top-notch restaurants and portions were plentiful and healthy. My favorite part was learning how the locals prepare and appreciate their local organic seasonal food and ancient grains. Highly recommend this trip. Thanks for including me I want to compliment and thank you for putting together a wonderful and unforgettable program, you really knocked this one out of the park! I hope you can do it again and again! Our memories every step of the way are definitely keepers. The only stand out that I would have changed is dressing warmer on a couple of evenings. Yes, overall it was that good. I'm grateful to have been included. Based on my personal experience, and what I've heard from the other non-RD's, I think traveling with a mixed group is a winning formula -- at least for us non-RD's. Although we really benefited, I wouldn't want to deprive an RD from experiencing the same. 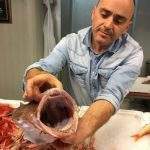 Those who are educating need the Puglia encounter to get it right. 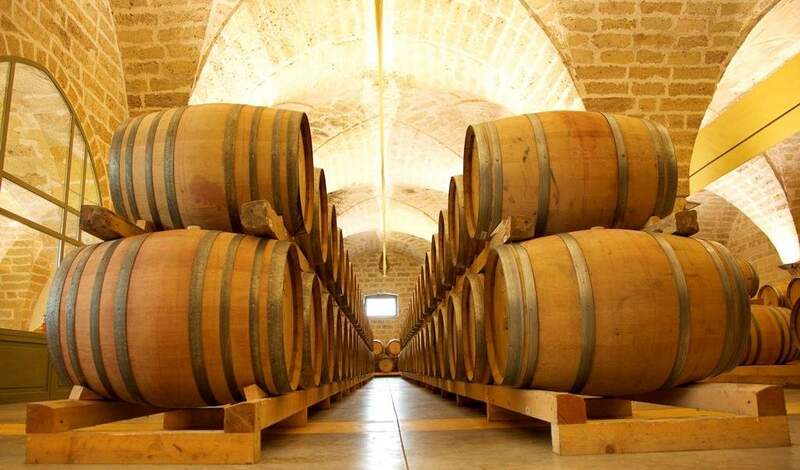 3. to share usable elements of that balanced Puglia/Italian lifestyle. The trip was definitely a working vacation. As such, I think the pace was necessary. I wouldn't want to have missed anything. To make more efficient use of my time I could have been more prepared. Research and communications on the fly were difficult given the poor Wi-Fi connections and busy schedule. An admonition and specific guidelines on preparedness might be helpful to the next group. I chose that word 'admonition' because impossibly busy as we tend to be before travel, I tend to have a care for admonitions (Attenzione!). Had I downloaded and opened the app, it might have been enough. Wish I studied it everyday for a couple weeks! The app is an awesome piece of work. Thanks for including me I want to compliment and thank you for putting together a wonderful and unforgettable program, you really knocked this one out of the park! I hope you can do it again and again! Our memories every step of the way are definitely keepers. The only stand out that I would have changed is dressing warmer on a couple of evenings. Yes, overall it was that good. I'm grateful to have been included. Based on my personal experience, and what I've heard from the other non-RD's, I think traveling with a mixed group is a winning formula -- at least for us non-RD's. Although we really benefited, I wouldn't want to deprive an RD from experiencing the same. Those who are educating need the Puglia encounter to get it right. 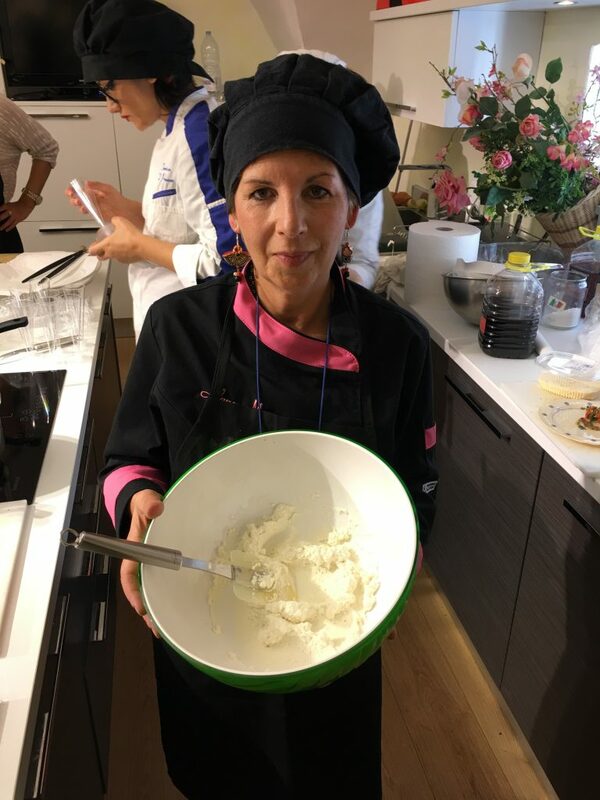 Based on the trip, I'm feeling challenged on 3 fronts: 1. to enjoy expanding my minimalist food prep and cooking skills; 2. to better source farm-to-table foods, and 3. to share usable elements of that balanced Puglia/Italian lifestyle. The trip was definitely a working vacation. As such, I think the pace was necessary. I wouldn't want to have missed anything. To make more efficient use of my time I could have been more prepared. Research and communications on the fly were difficult given the poor Wi-Fi connections and busy schedule. An admonition and specific guidelines on preparedness might be helpful to the next group. I chose that word 'admonition' because impossibly busy as we tend to be before travel, I tend to have a care for admonitions (Attenzione!). Had I downloaded and opened the app, it might have been enough. Wish I studied it everyday for a couple weeks! The app is an awesome piece of work. Do it again! 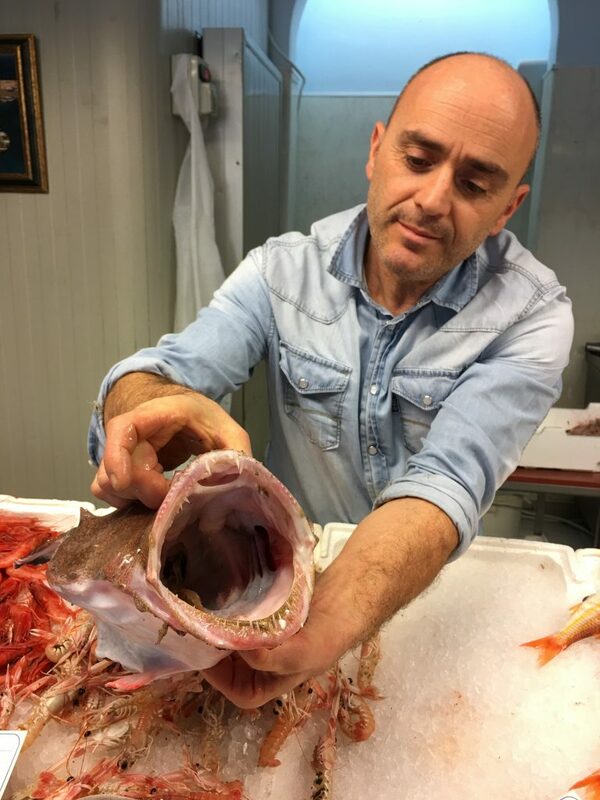 You've likely never heard of Puglia before - I know I didn't until I saw the itinerary for this culinary adventure - but if you're looking to explore one of the lesser-known, but truly authentic, regions of Italy and experience the Mediterranean diet at its best, I highly recommend adding this trip to Puglia to your bucket list. There's so much that goes into food before it hits your plate. It was an absolute pleasure to meet with the people who produce and create the magnificent food in the region and to get a little taste of the Italian life. 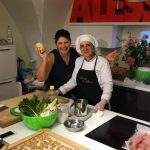 If you're interested in a sneak peek, I've highlighted my favorite parts of the Passion for Puglia tour here (LINK: http://gowinnutrition.com/passion-puglia-journey-mediterranean-diet/). 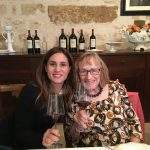 You've likely never heard of Puglia before - I know I didn't until I saw the itinerary for this culinary adventure - but if you're looking to explore one of the lesser-known, but truly authentic, regions of Italy and experience the Mediterranean diet at its best, I highly recommend adding this trip to Puglia to your bucket list. There's so much that goes into food before it hits your plate. It was an absolute pleasure to meet with the people who produce and create the magnificent food in the region and to get a little taste of the Italian life. 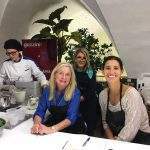 If you're interested in a sneak peek, I've highlighted my favorite parts of the Passion for Puglia tour here (LINK: http://gowinnutrition.com/passion-puglia-journey-mediterranean-diet/). 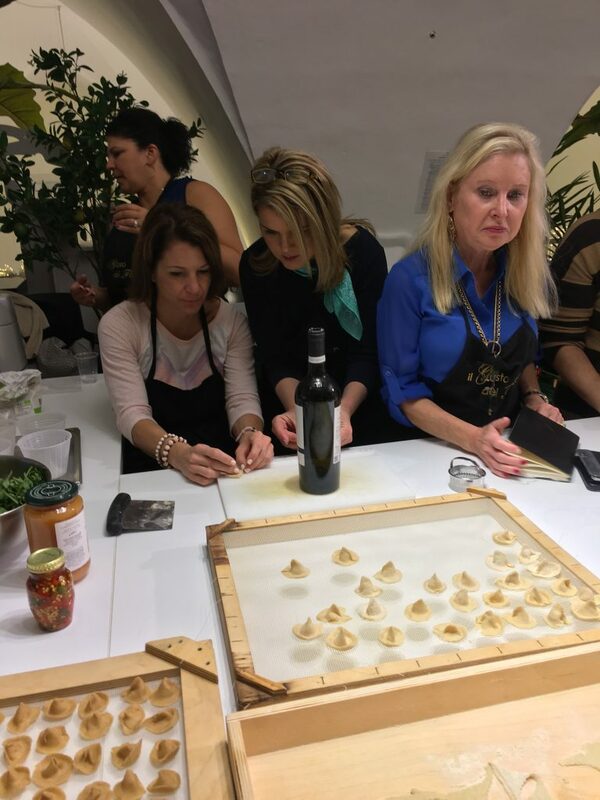 Passion For Puglia was a valuable culinary and cultural travel program because I got to experience the Mediterranean lifestyle firsthand by visiting farms and exploring the bountiful region of Puglia. The cooking class at the Masseria was my all-time favorite part of the trip. It was so informative, fun, and set in such a beautiful location. I loved going to the dairy farm, but would have loved to see the outdoor location in the daylight instead of at night. The Masseria lodging was absolute gorgeous as well, and it was a highlight of the trip! 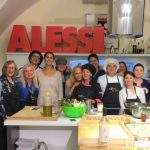 Overall, I would recommend this trip to my colleagues and anyone interested in learning about a healthy Mediterranean lifestyle and exploring this unique area of southern Italy. 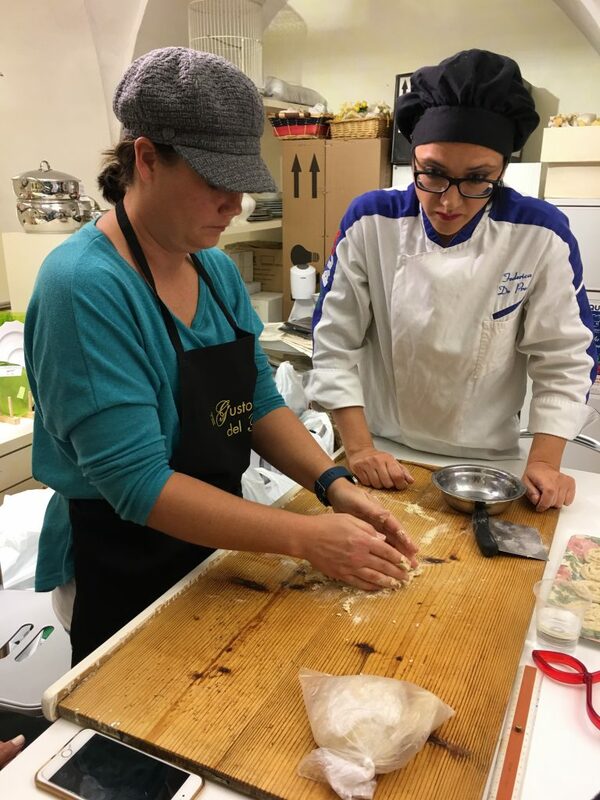 Passion For Puglia was a valuable culinary and cultural travel program because I got to experience the Mediterranean lifestyle firsthand by visiting farms and exploring the bountiful region of Puglia. 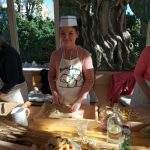 The cooking class at the Masseria was my all-time favorite part of the trip. It was so informative, fun, and set in such a beautiful location. I loved going to the dairy farm, but would have loved to see the outdoor location in the daylight instead of at night. The Masseria lodging was absolute gorgeous as well, and it was a highlight of the trip! 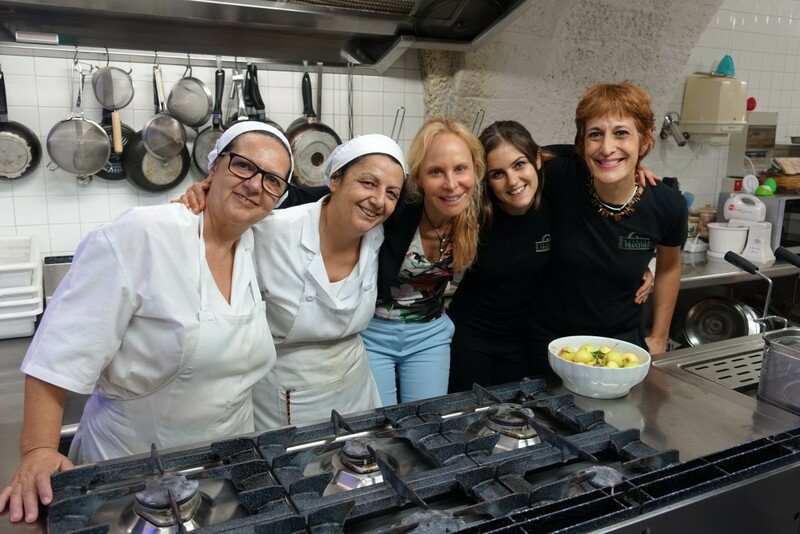 Overall, I would recommend this trip to my colleagues and anyone interested in learning about a healthy Mediterranean lifestyle and exploring this unique area of southern Italy. 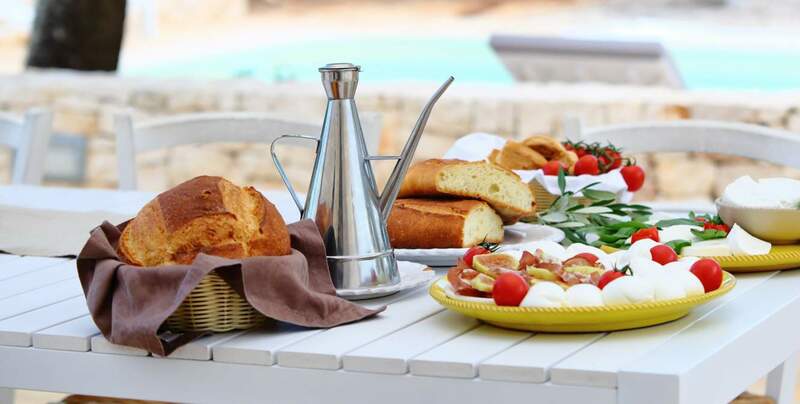 As I return from a once-in-a-lifetime trip to Puglia exploring the Mediterranean diet and lifestyle I am asked by my friends and family: "what was the best thing?" To choose just one part of the trip seems impossible. Tasting olive oil, making pasta, visiting a fish market, touring old towns, exploring wineries, and the list goes on and on. The combination of waking up in quaint cities to the endless views of the 2,000 year-old olive trees was incredible. 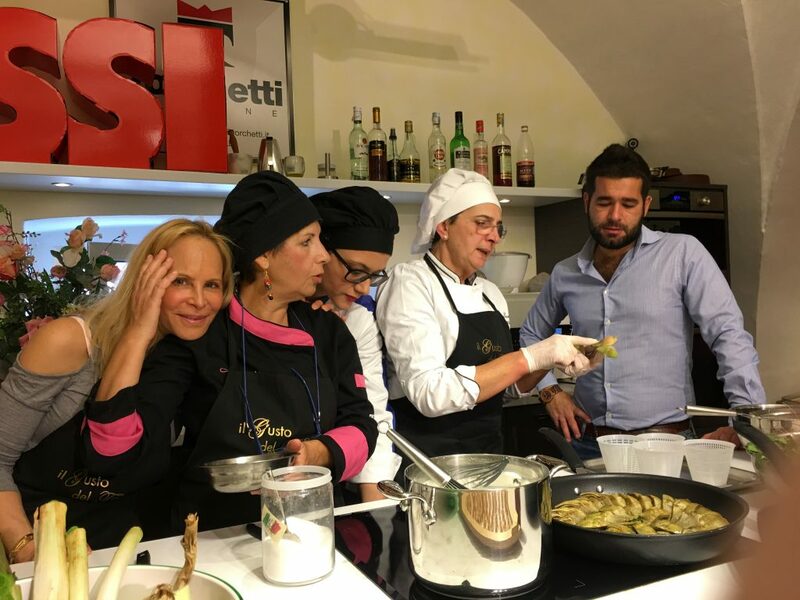 I can honestly say that there is no better way for a dietitian to experience Italy than with a group of dietitians led by Layne Lieberman and Robyn Webb on the Passion for Puglia trip. The places we stayed and sites we saw and the things we did were amazing. Had I tried to go to Puglia myself I would never have been able to see the things we saw. Michele was amazing. His personality and professionalism were top notch. He is a true Puglian promoter and he has a lot to be proud of. The region is amazing. As a non-RD, I understood there was programming designed to earn CEU's for the RD's and this was a significant component of the trip. The programming was of interest to me so when asked by my sister to join her on the trip I was very interested in going and am still very happy that I went. Everyday I find myself remembering something about that week and I appreciate those memories very much. I would definitely go back to Italy. I would love to see each region someday. The places we stayed and sites we saw and the things we did were amazing. Had I tried to go to Puglia myself I would never have been able to see the things we saw. Michele was amazing. His personality and professionalism were top notch. He is a true Puglian promoter and he has a lot to be proud of. The region is amazing. As a non-RD, I understood there was programming designed to earn CEU's for the RD's and this was a significant component of the trip. The programming was of interest to me so when asked by my sister to join her on the trip I was very interested in going and am still very happy that I went. Everyday I find myself remembering something about that week and I appreciate those memories very much. I would definitely go back to Italy. I would love to see each region someday. Ciao! Passion For Puglia was really a wonderful experience. I loved learning all about the region and really appreciated our guide Michele for his expert knowledge on all things Puglia. He was a top notch tour guide and really made the trip enjoyable. I thought all of the guides were really great. The only thing that was missing was more free time to enjoy the beautiful accommodations, shop, have a drink at the bar, sit outside and people watch, read a book and relax. Other than the lack of free time to explore and experience on our own, I had a lovely time and enjoyed getting to know the group. Passion For Puglia was really a wonderful experience. I loved learning all about the region and really appreciated our guide Michele for his expert knowledge on all things Puglia. He was a top notch tour guide and really made the trip enjoyable. I thought all of the guides were really great. The only thing that was missing was more free time to enjoy the beautiful accommodations, shop, have a drink at the bar, sit outside and people watch, read a book and relax. Other than the lack of free time to explore and experience on our own, I had a lovely time and enjoyed getting to know the group. I hope this is helpful. Warmly. Passion for Puglia was indeed an unforgettable experience not only for nutritionists but anyone interested in healthy and balanced eating. We were exposed to this magical region of Italy, where traditional agriculture and cooking methods are displayed with pride and enthusiasm. 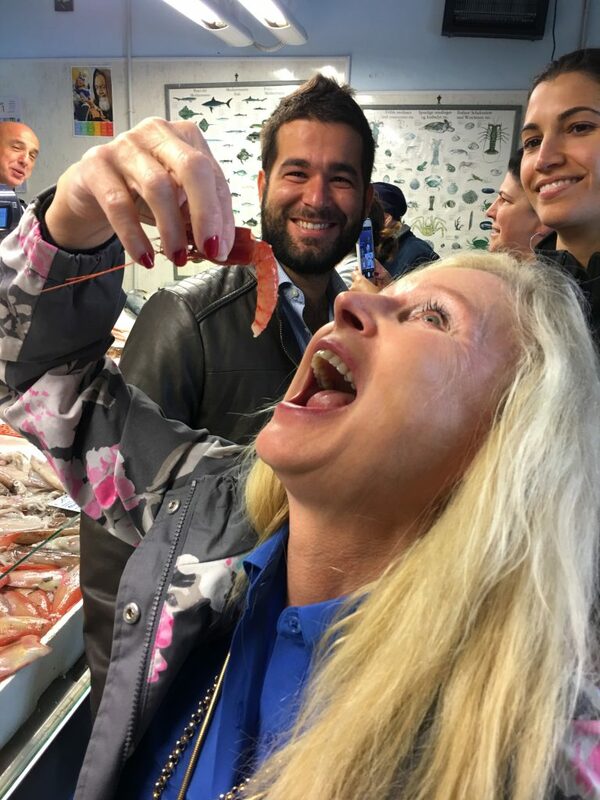 The trip was filled with hands-on experiences in preparing and eating exceptionally fresh food, as well as visits to relevant sites in the region. A must go to experience of a lifetime! Hope you had a great Thanksgiving with your family. Sorry, it took me so long to reply. 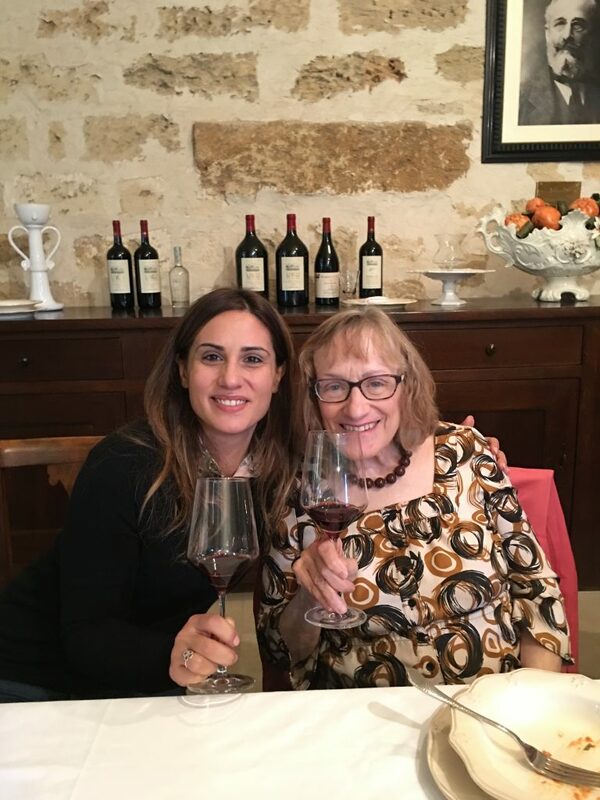 My decision to go to Passion for Puglia trip was inspired by my wonderful daughter , Tina Carlucci, RD. I am so glad I decided to join her on this trip - it was an amazing experience. This was one of the best gifts a mother can receive from a daughter. Spending one-on-one time with her and of course all the amazing ladies I had the pleasure of interacting with on this trip. "Passion for Puglia " was a very well planned trip and the whole experience was amazing. For me the highlight was all the vegetarian dishes included in the Mediterranean diet. 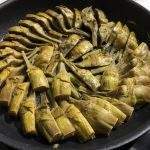 The simple ingredients used gave such tasty flavor to all the dishes. It inspired a lot of ideas to add to my own cooking adventures at home. Overall I enjoyed this trip tremendously. Dear Layne, Hope you had a great Thanksgiving with your family. Sorry, it took me so long to reply. My decision to go to Passion for Puglia trip was inspired by my wonderful daughter , Tina Carlucci, RD. I am so glad I decided to join her on this trip - it was an amazing experience. This was one of the best gifts a mother can receive from a daughter. Spending one-on-one time with her and of course all the amazing ladies I had the pleasure of interacting with on this trip. "Passion for Puglia " was a very well planned trip and the whole experience was amazing. For me the highlight was all the vegetarian dishes included in the Mediterranean diet. 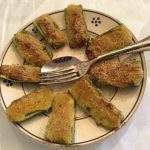 The simple ingredients used gave such tasty flavor to all the dishes. It inspired a lot of ideas to add to my own cooking adventures at home. Overall I enjoyed this trip tremendously. Thank you! 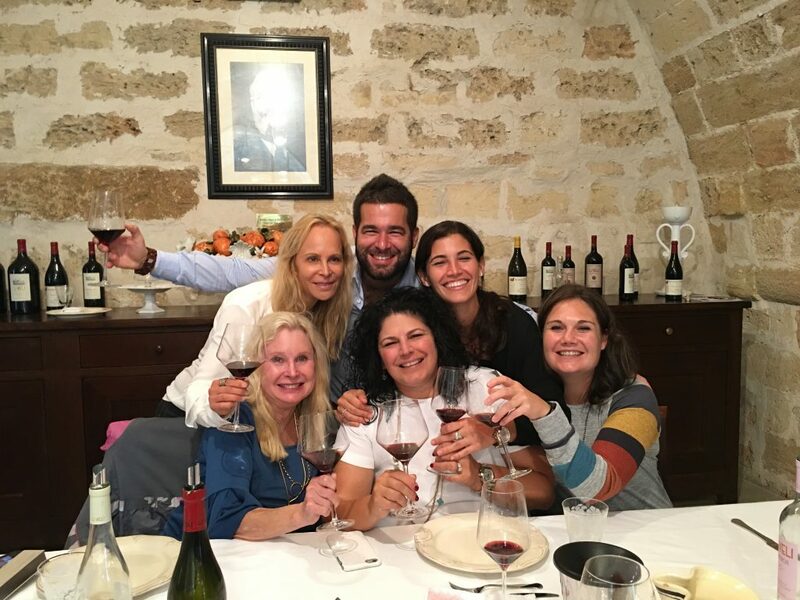 Passion for Puglia was the trip of a lifetime! 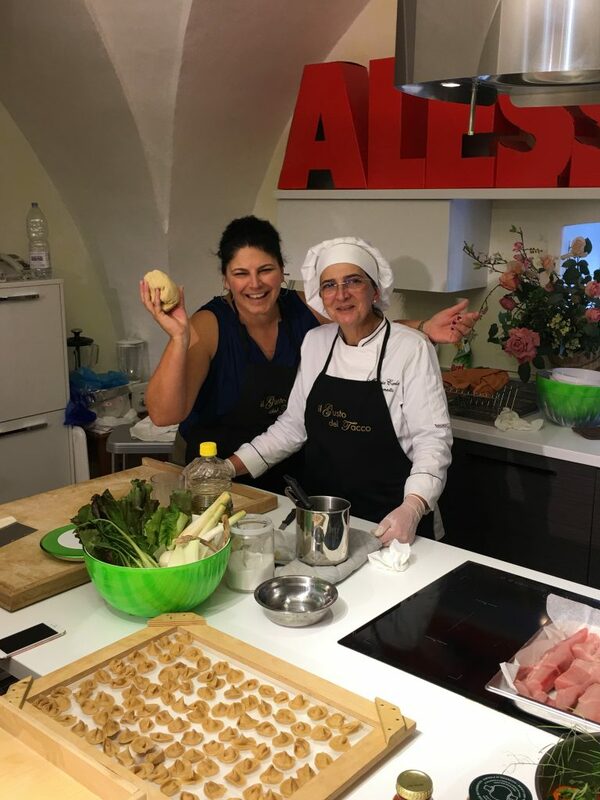 As a dietitian, I felt the itinerary was the perfect integration of food science/nutritional concepts with the cultural background of Puglia. Tours of farms, estates and small towns in combination with exquisite farm to table dining experiences made for an unforgettable journey! 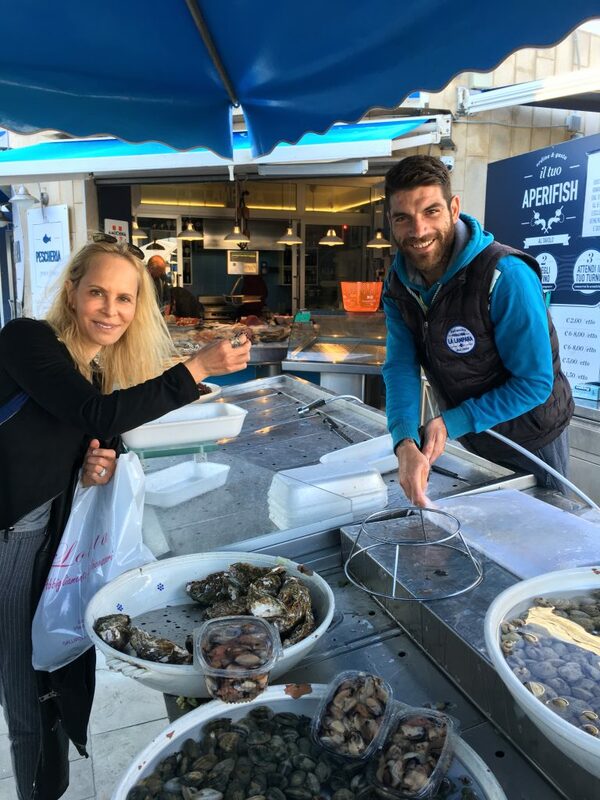 After this experience, I have a deeper passion and appreciation for the local produce and cuisine of Puglia, as well a better understanding of the benefits of utilizing organic farming methods. By focusing on different aspects of the Mediterranean diet each day (grains, olive oil, fish, etc. ), we were able to have in-depth and enjoyable learning experiences. A lecture by a local nutritionist on the Mediterranean diet tied together our whole trip beautifully. Layne and Robyn were excellent trip leaders along with our tour guide and local experts - would recommend this trip to all nutrition professionals. Thank you again for the experience! Please stay in touch!! Passion for Puglia was the trip of a lifetime! 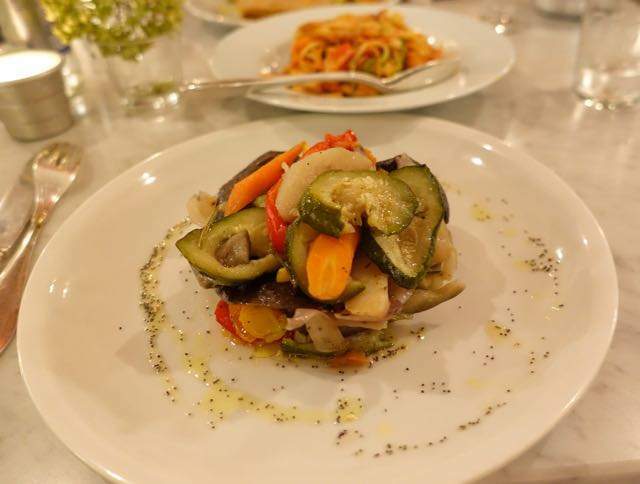 As a dietitian, I felt the itinerary was the perfect integration of food science/nutritional concepts with the cultural background of Puglia. Tours of farms, estates and small towns in combination with exquisite farm to table dining experiences made for an unforgettable journey! 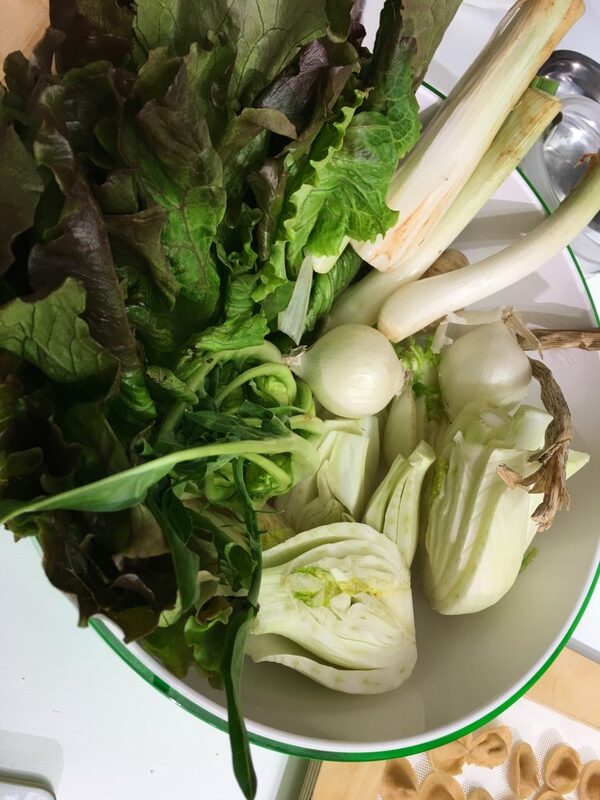 After this experience, I have a deeper passion and appreciation for the local produce and cuisine of Puglia, as well a better understanding of the benefits of utilizing organic farming methods. By focusing on different aspects of the Mediterranean diet each day (grains, olive oil, fish, etc. ), we were able to have in-depth and enjoyable learning experiences. A lecture by a local nutritionist on the Mediterranean diet tied together our whole trip beautifully. Layne and Robyn were excellent trip leaders along with our tour guide and local experts - would recommend this trip to all nutrition professionals. Thank you again for the experience! Please stay in touch!! This trip more than met my expectations! The schedule was jam packed with culinary experiences, but allowed for lots of great sightseeing in the process. As the week progressed, one could see how all the different foods that we were learning about tied in to the region of Puglia. I particularly enjoyed the visit to the flour mill, observing and participating in the cheesemaking, and the hands on experience preparing and shaping pasta. It was a great trip all around, and I thank you so much for organizing it all. I do recognize the amount of work that went into it! Also, I thank you for being such a great hostess!!! This trip more than met my expectations! The schedule was jam packed with culinary experiences, but allowed for lots of great sightseeing in the process. As the week progressed, one could see how all the different foods that we were learning about tied in to the region of Puglia. I particularly enjoyed the visit to the flour mill, observing and participating in the cheesemaking, and the hands on experience preparing and shaping pasta. It was a great trip all around, and I thank you so much for organizing it all. I do recognize the amount of work that went into it! Also, I thank you for being such a great hostess!!! Sensory overload from the moment I peered out the airplane window taking in the coastal line of the Adriatic Sea landing in Bari, Italy to begin my unique culinary and cultural tour of southern Italy, Passion for Puglia. 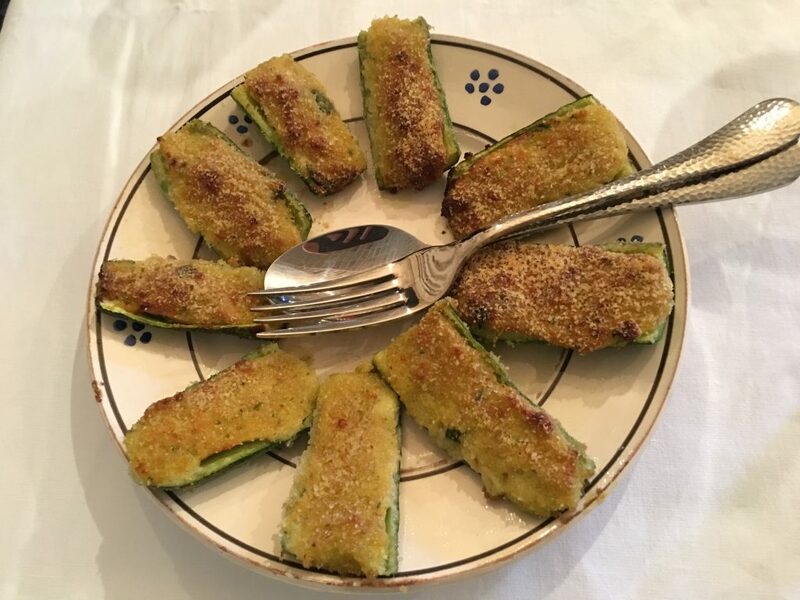 As a Registered Dietician Nutritionist, I signed on to Passion for Puglia to explore the Mediterranean diet and got that and so much more. 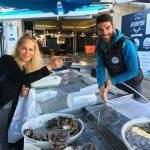 A region rich in history, art, culture, and soulful people, with an ideal climate and soil to produce an abundance of grains, legumes, nuts, olives, vegetables, and fruits, all within ideal access to all the seafood the Ionian Sea and Adriatic Sea provide. We explored cities, farms, and coastal towns providing a vast range of culinary and cultural experiences. 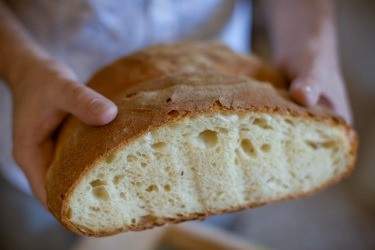 Pasta, bread and cheese making, biodiversity farms, cooking classes, farm-to-table meals, a winery run with Tuscan knowledge in a region ideal for grape growing and wine production. Befriending RD Nutritionists who came together from cities across the United States to share the experience. The trip organized by Layne Lieberman, RD and Ali Pike of Southern Visions travel, assisted by Robyn Webb, MS and guided by local historian, Michele Miccoli packs a great deal into one week. Ideal for RD Nutritionists as well as non-nutritionists – truly ideal for everyone! Sensory overload from the moment I peered out the airplane window taking in the coastal line of the Adriatic Sea landing in Bari, Italy to begin my unique culinary and cultural tour of southern Italy, Passion for Puglia. As a Registered Dietician Nutritionist, I signed on to Passion for Puglia to explore the Mediterranean diet and got that and so much more. 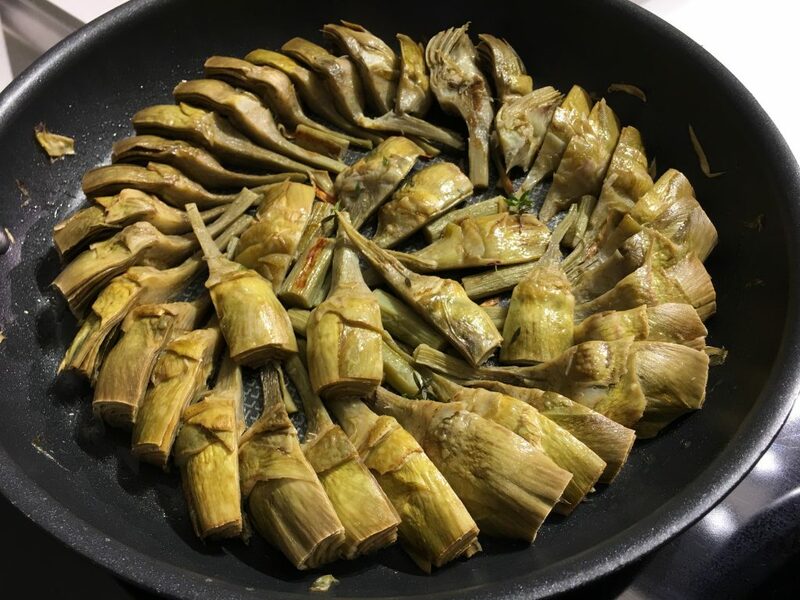 A region rich in history, art, culture, and soulful people, with an ideal climate and soil to produce an abundance of grains, legumes, nuts, olives, vegetables, and fruits, all within ideal access to all the seafood the Ionian Sea and Adriatic Sea provide. 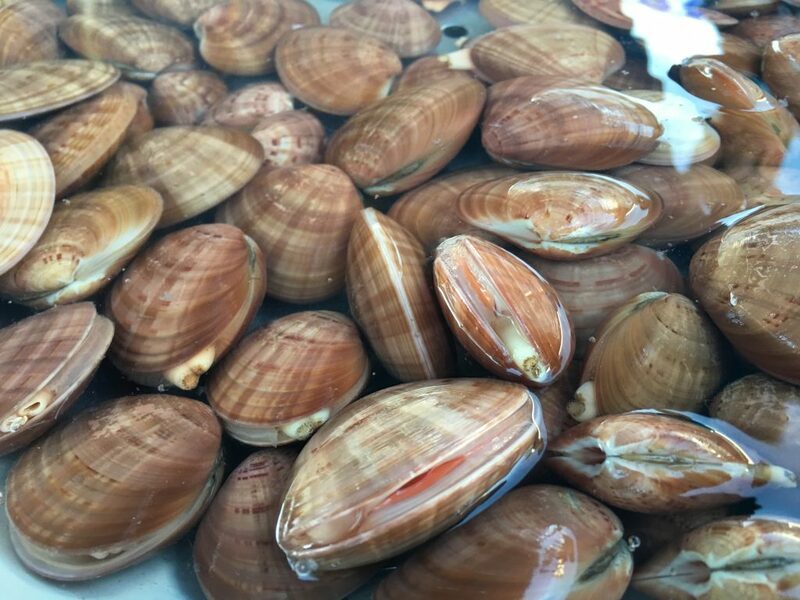 We explored cities, farms, and coastal towns providing a vast range of culinary and cultural experiences. 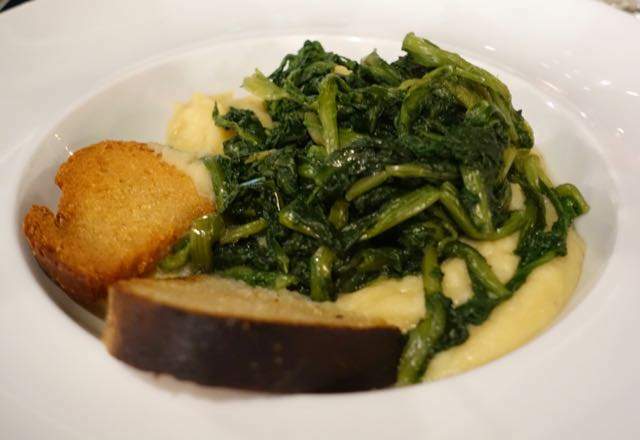 Pasta, bread and cheese making, biodiversity farms, cooking classes, farm-to-table meals, a winery run with Tuscan knowledge in a region ideal for grape growing and wine production. Befriending RD Nutritionists who came together from cities across the United States to share the experience. The trip organized by Layne Lieberman, RD and Ali Pike of Southern Visions travel, assisted by Robyn Webb, MS and guided by local historian, Michele Miccoli packs a great deal into one week. Ideal for RD Nutritionists as well as non-nutritionists – truly ideal for everyone! Best! Passion For Puglia was really a wonderful experience. I loved learning all about the region and really appreciated our guide Michele for his expert knowledge on all things Puglia. He was a top notch tour guide and really made the trip enjoyable. I thought all of the guides were really great. The only thing that was missing was more free time to enjoy the beautiful accommodations, shop, have a drink at the bar, sit outside and people watch, read a book and relax. Other than the lack of free time to explore and experience on our own, I had a lovely time and enjoyed getting to know the group. I hope this is helpful. As a non-RD, I understood there was programming designed to earn CEU's for the RD's and this was a significant component of the trip. The programming was of interest to me so when asked by my sister Danielle to join her on the trip I was very interested in going and am still very happy that I went. I would definitely go back to Italy. I would love to see each region someday. Ciao! The places we stayed and sites we saw and the things we did were amazing. Had I tried to go to Puglia myself I would never have been able to see the things we saw. Michele was amazing. His personality and professionalism were top notch. He is a true Puglian promoter and he has a lot to be proud of. The region is amazing. As a non-RD, I understood there was programming designed to earn CEU's for the RD's and this was a significant component of the trip. The programming was of interest to me so when asked by my sister Danielle to join her on the trip I was very interested in going and am still very happy that I went. Everyday I find myself remembering something about that week and I appreciate those memories very much. I would definitely go back to Italy. I would love to see each region someday. Ciao! If the photo gallery is not showing, kindly resize your browser or click Puglia 2017 and that should do the trick!